Career Intelligence Associates / Book Release / In Case You Missed It. 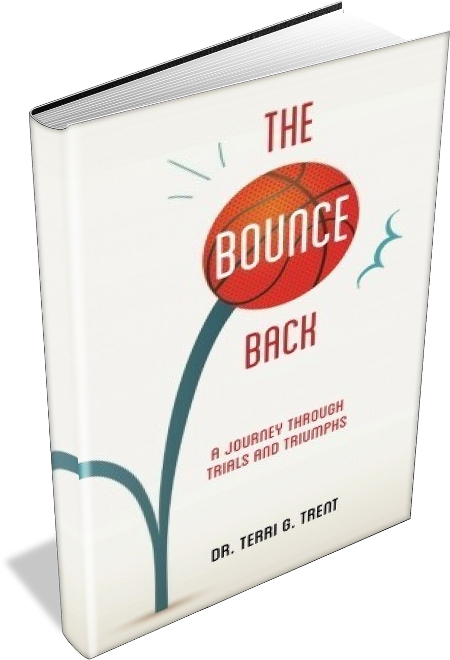 . .
On Saturday, January 4, 2014, Phoenix AZ author, Dr. Terri Trent introduced her new book, The Bounce Back, at a book release celebration at the Brandywine Hundred Library in Wilmington, DE. Despite the polar vortex which a day earlier blanketed the entire east coast with several inches of snow and sub-zero degree temperatures, the event was well attended by more than 60 enthusiastic guests, who traveled from Philadelphia and the Greater Delaware Valley region; Southern NJ; Baltimore, MD; Washington, DC; Brooklyn, NY; and Charlotte, NC, as well as New Castle County, DE to celebrate the book signing event. As an extra bonus, a few library patrons joined the group as well. 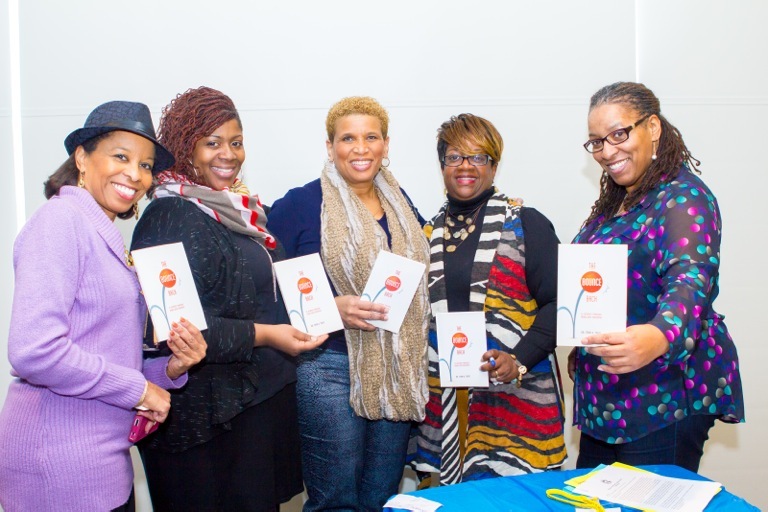 The event was facilitated by veteran Philadelphia television journalist, Denise James, currently the Strategic Director of Communications for the Philadelphia Police Department. Denise’s skillfully guided questions created a dynamic flow of conversation between the two women that provided a context for the memoir, which centers on a very turbulent year in Terri’s life. Terri read passages that depicted some of the compelling life events that she experienced in 2012, including the near death experience of her son, an attack by a dog, and discovery of her daughter’s molestation. Yet, despite the sober nature of the content, the overall message of the book and the ensuing discussion centered on developing resilience and maintaining hope and faith during times of stress and change. There were even a few laughs shared as Denise and Terri injected a few lighthearted comments into the dialog. In response to Denise’s question about her motivation for writing the book, Terri identified two main goals: to help herself and her family members understand and heal from recent traumas, and to assist others who have experienced similar life challenges. Based on the positive and supportive response of the attendees, and feedback from her readers, she is well on the path to meeting the latter objective. 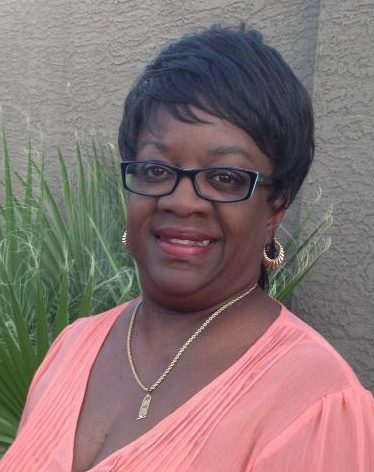 Thursday, Feb. 6, where she will be the featured speaker for the monthly meeting of the Scottsdale AZ Rotary Club 7505 East McCormick Parkway, Scottsdale AZ, 7-8 a.m.
Friday, February 7, where she will be a spoken word performer at the Black History Month Celebration for the City of Chandler and the Chandler Self Help Foundation. The event will be held at: Chandler Center for the Performing Arts, 250 N. Arizona Ave, Chandler AZ, 7-10 p.m.